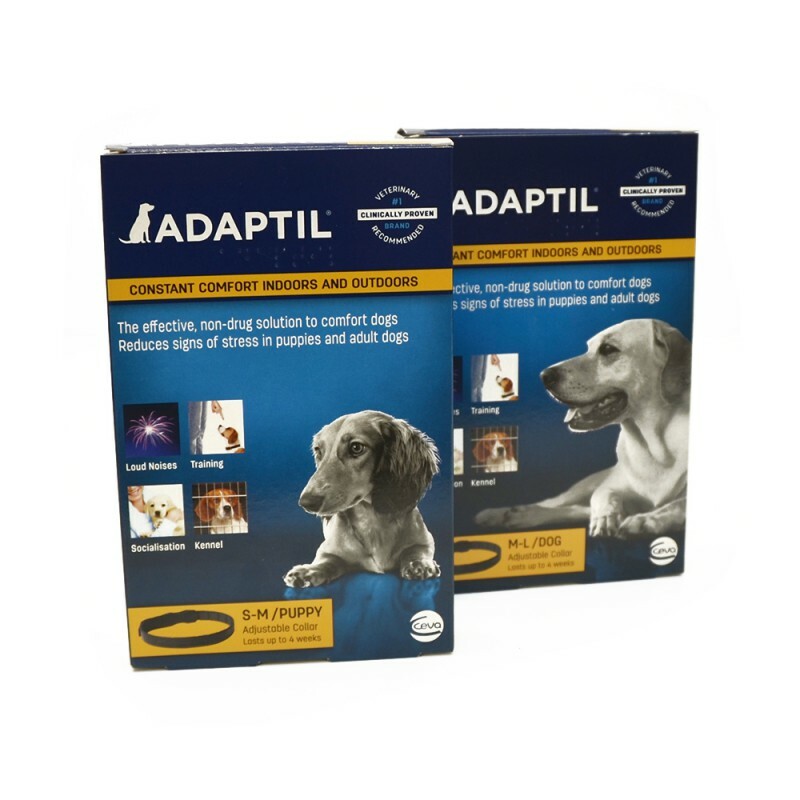 ADAPTIL calming dog collars are a clinically proven solution to calm your dog indoors and out for situations like loud noises, staying alone, boarding and other fearful situations. Bring you and your dog closer, by providing constant reassurance to your dog with this amazing collar. Not only are these calming dog collars clinically proven, but they are also veterinary used and recommended. - 1 collar provides up to 4 weeks constant support - Small size collar fits neck up to 14.7 inches, for dogs < 35 lbs - Large size collar fits neck up to 24.6 inches, for dogs 36-110 lbs Ensure constant calming to your dog by using a new collar every month. Check out our in-depth review of this collar here!